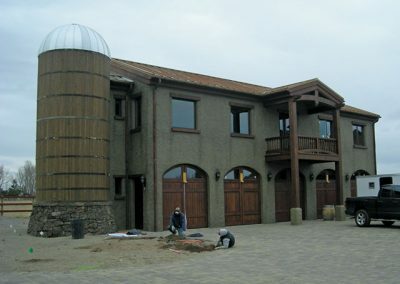 a neighboring pasture. 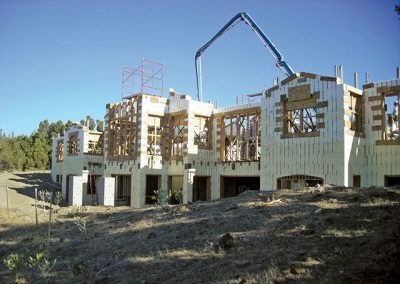 The size of the project wasn’t the only challenge. 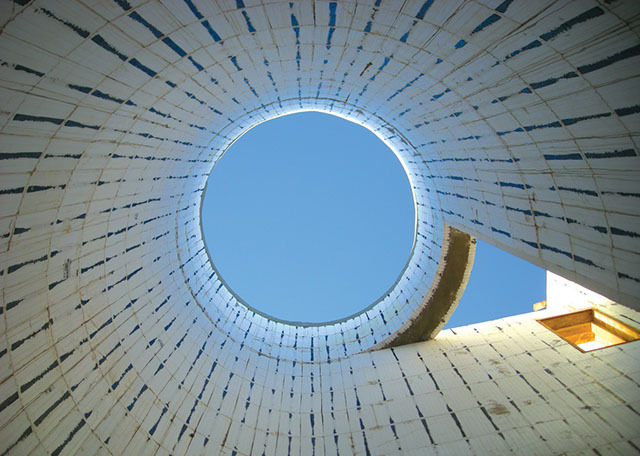 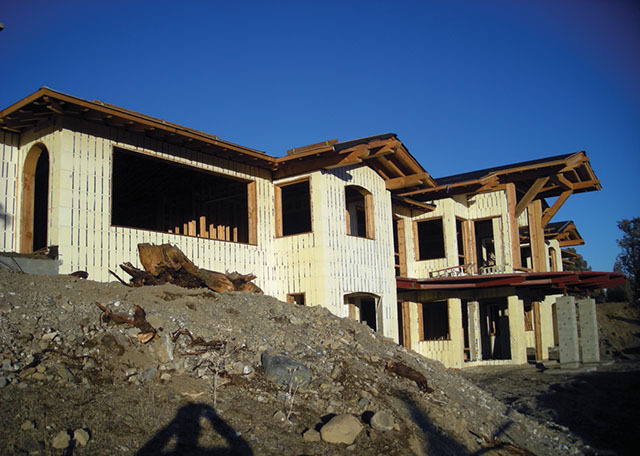 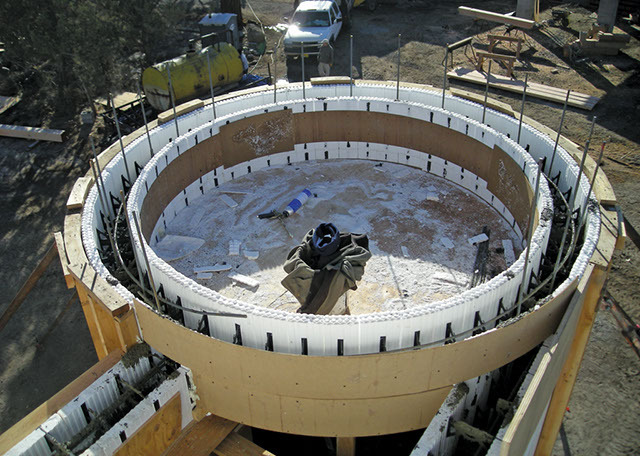 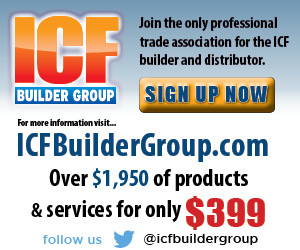 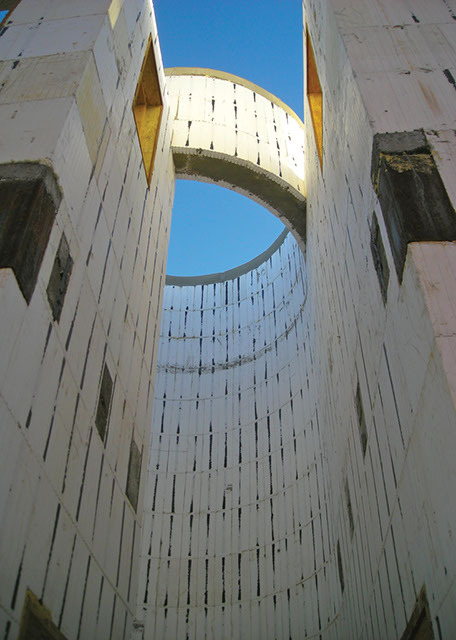 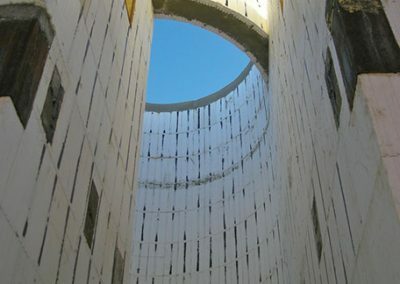 Dozens of corners, combined with ICF columns, arches, tall walls, and multiple radiuses—including a two-story circular ICF “silo”—meant the ICF installer had to be extremely knowledgeable. 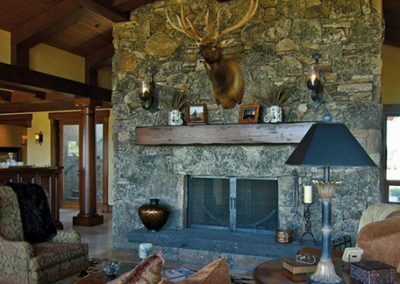 Minimal site disturbance was a key consideration; the home overlooks a private ranch with a pristine trout stream flowing through it. 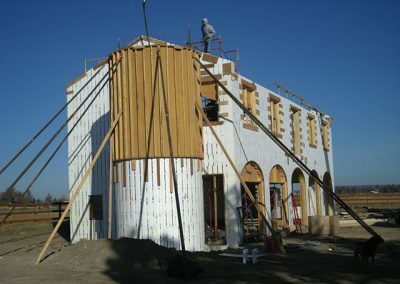 To ensure zero EPS waste blew around the jobsite, the installer built a “cut hut” for trimming forms. 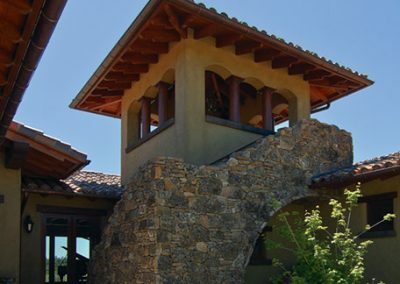 Although the design is both large and complex, the use of natural materials such as stone, recycled timbers and clay tiles allows the buildings to blend into the natural surroundings. 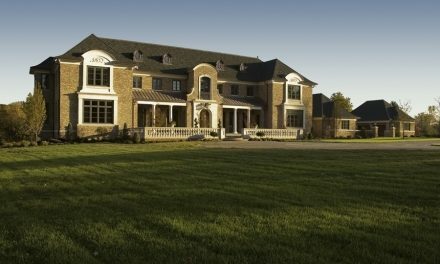 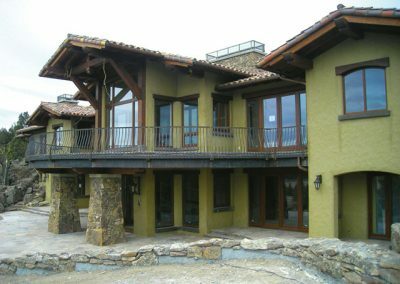 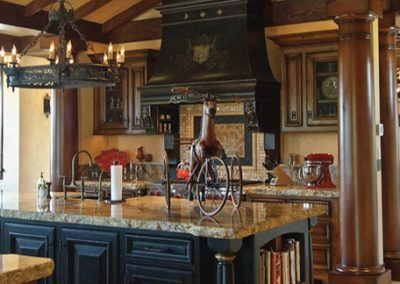 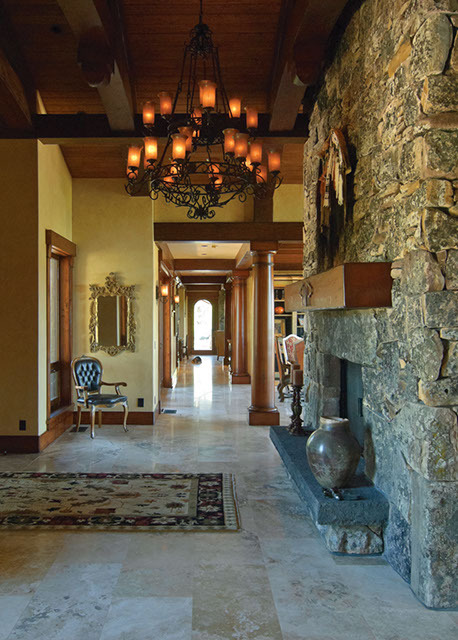 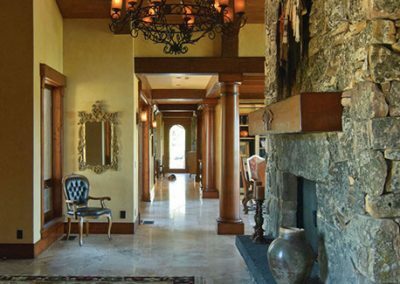 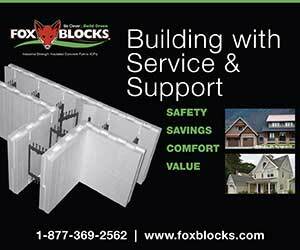 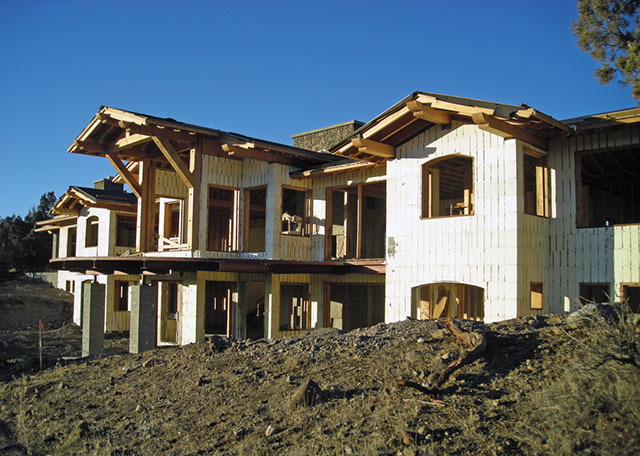 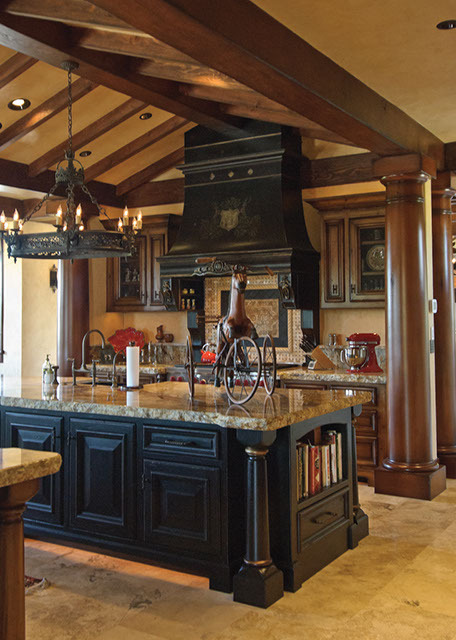 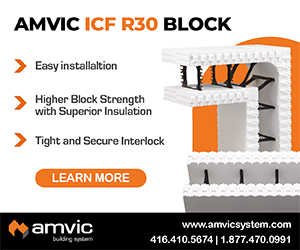 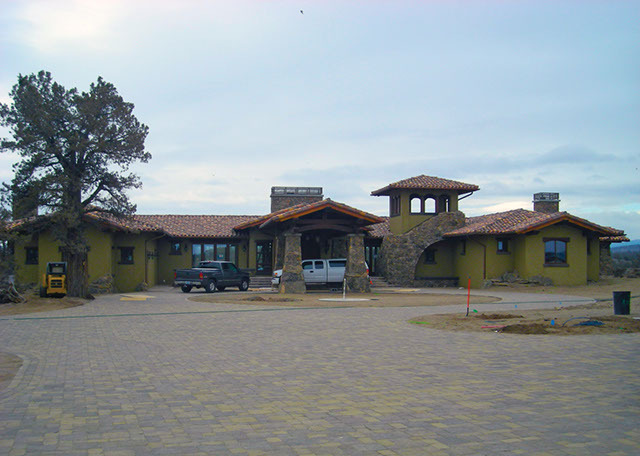 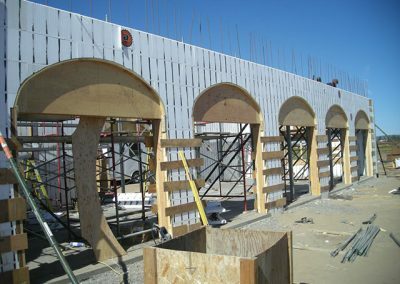 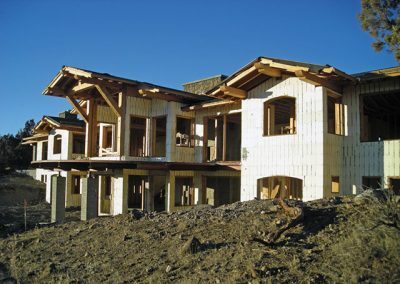 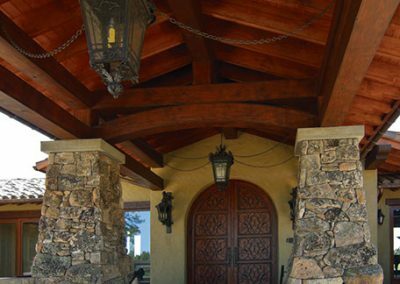 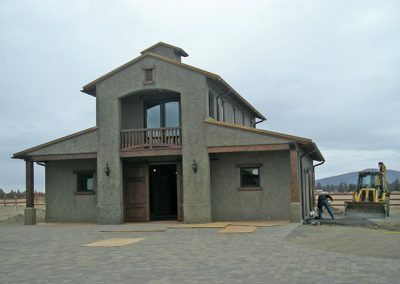 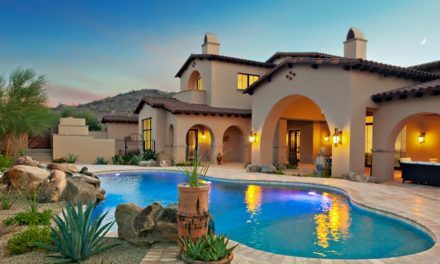 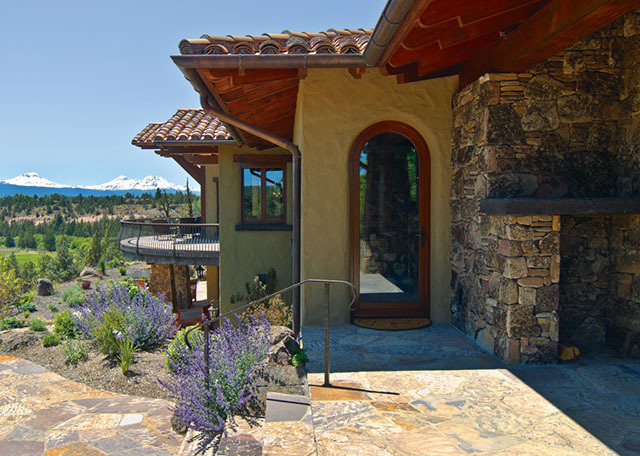 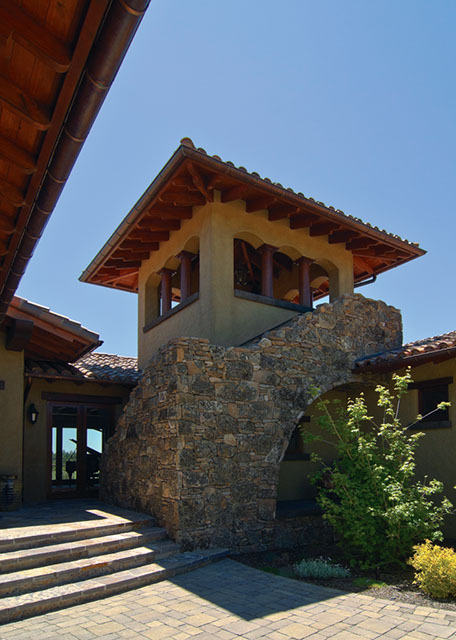 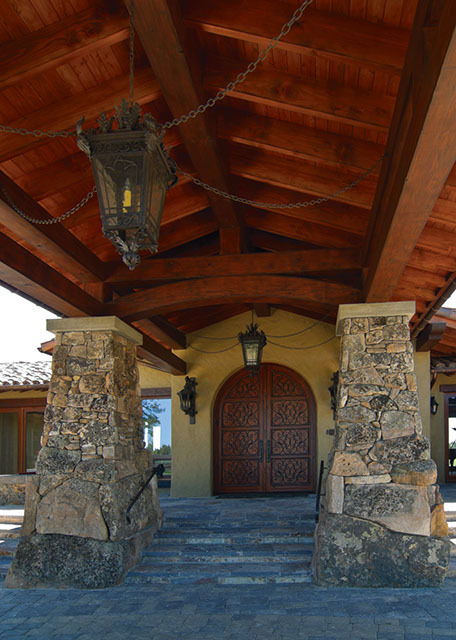 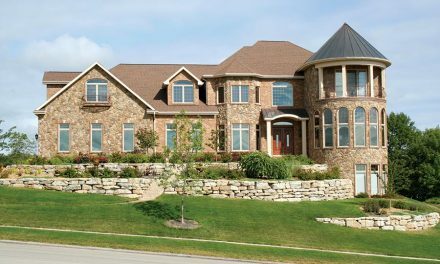 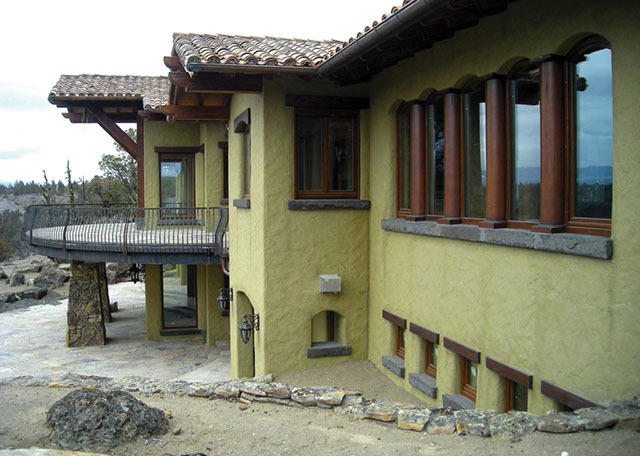 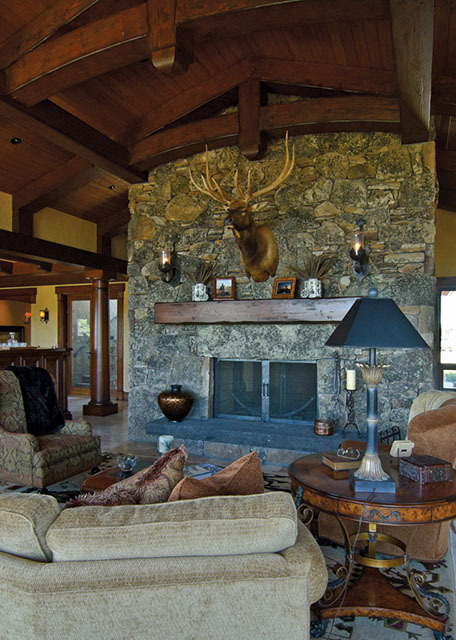 The cut stone façade was easy to attach to the exposed web of the form, and the natural strength of the ICF walls easily supports the additional weight the stone, heavy timbers, and tile roof. 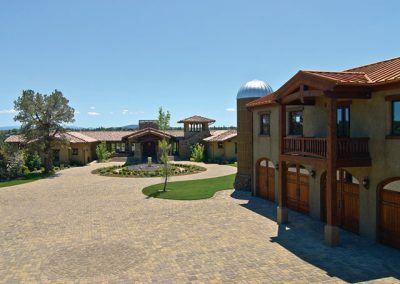 Described as an “everyday retreat that is also environmentally sound and energy efficient,” the owners and construction team are extremely pleased with the final result.